Charente 18 oz. beer glasses, with custom logo etching for sale. 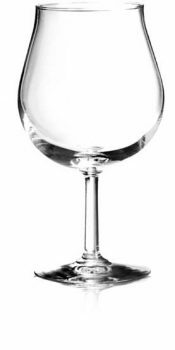 The Charente model drinking glass features a classic fluted design. It comes 24 per case and holds 18 oz., enough for a generous pour of wine, or a nice head on a delicious beer. Why not take your branding all the way and get every piece of glassware etched with a custom logo? DejaBrew designers can help you get started with custom branding today!